Fifty years ago today, the Rev. Martin Luther King Jr. electrified the nation with his “I Have A Dream” speech — and helped establish himself as one of America’s founding fathers. A half-century later, King stands equal to Jefferson, Adams, Madison, and Hamilton, the people who invented America, designed its government, and shaped its unique democratic experiment. Taylor Branch, the incomparable civil rights historian, has called him “a new founding father.” An insightful essay in Time Magazine by another great historian, Jon Meacham, also awards King that stellar status. Here is why I believe King is the most significant American since Lincoln in his impact on how we live and work together in the world’s oldest democracy. King changed America forever. It was largely his movement that finally extinguished Jim Crow in the South, ending the overt racism and segregation that had persisted for a century after the Emancipation Proclamation. In a very real way, King picked up where Lincoln had left America at the end of the Civil War. That America had yet to overcome what Condoleezza Rice calls the “original sin” of our Constitution: African-Americans were not treated as fully human. Freedom will not have arrived until “created equal” and treated equally have merged into a lasting one-and-the-same reality. 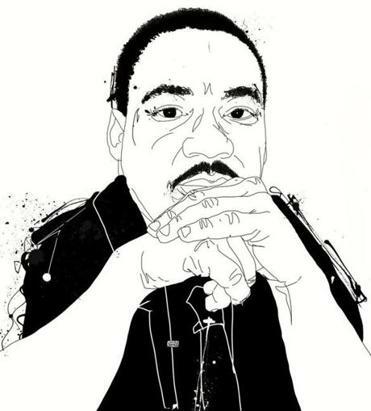 King also found a way to touch the conscience of white Americans all too complacent about the need for change during the tumultuous decades of the civil rights struggle from Birmingham to Little Rock, Selma, and beyond. It was not preordained that the most important black leader would wave a flag of nonviolent civil disobedience and redemption rather than hatred and revenge. His message even reached places where whites knew precious few black neighbors, such as the privileged town where I grew up, Wellesley. I have no memory of King’s great speech at the Lincoln Memorial, which occurred when I was 7. But I retain a clear and sharp image from five years later, when our enlightened sixth-grade teacher, Jean Barton, wheeled a television into our classroom in April 1968. She asked us to watch the funeral of a great man, Martin Luther King. In the years that followed, when I went looking for a true hero, I found one in King and his ringing message of what was clearly right and clearly wrong. In many ways, King’s most lasting legacy is the America we know today — far from perfect, still halting on the question of race, but light years from the hateful South of Bull Connor, George Wallace, and the pathetic nostalgia for the failed cause of the Confederacy. King created in its place the America that chose Barack Obama, now leading a country turning an irreversible corner to redeem the promise of our founding. It must have been this deep reservoir of faith that brought King to his brilliant, beautiful, lyrical, rousing vision on that hot day in Washington 50 years ago. Martin Luther King Jr., founding father.